Volkswagen is ending production of its Beetle in 2019, closing the door on one of the world’s most iconic car designs. The German company said output would end at its plant in Mexico next July after production of celebration models. The Beetle has its roots in Nazi Germany with the creation of a “people’s car”, but went on to star in a series of successful Disney films as a vehicle called Herbie. But sales, particularly in the key US market, have fallen in recent years. Consumers in the US have increasingly turned to larger cars such as crossovers and sports utility vehicles. Volkswagen, in the wake of the diesel emissions scandal and huge investment in electric vehicles, says it will look to slim down its model range with a greater focus on family and electric cars. The company say the final Beetle models will be available in both coupe and convertible styles. 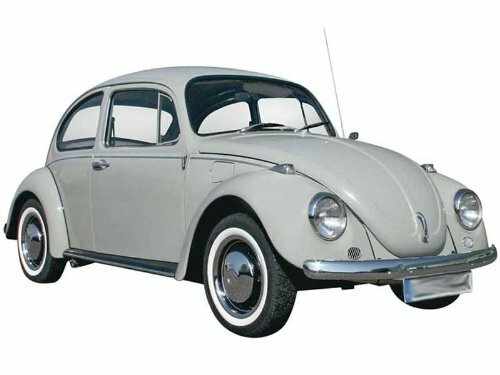 “The loss of the Beetle after three generations, over nearly seven decades, will evoke a host of emotions from the Beetle’s many devoted fans,” said Hinrich Woebcken, chief executive of Volkswagen Group of America. The Beetle was originally designed in the 1930s by legendary engineer Ferdinand Porsche – a name now synonymous with fast cars – at the behest of Adolf Hitler, who wanted to see a cheap and practical mass-produced car made available to the German people. But the outbreak of war would stall its production, as military necessity took precedence. The plant would be severely damaged, then fell into the hands of allied forces – who were eventually to play a large part in its recommissioning. The company is already thought to have reviewed a possible model revamp and options for electric versions in recent years, before deciding on its abandonment. Volkswagen sold 11,151 Beetles during the first eight months of 2018, down 2.2% from the same period a year earlier. US consumers looking for a small Volkswagen vehicle overwhelmingly prefer the Jetta sedan, or the Tiguan compact sport utility vehicle. This entry was posted in Online Business News and tagged Motoring News, Volkswagen's Beetle Car by #. Bookmark the permalink.